Adovia's Moisturizing Day Cream is a thick cream that is meant to be applied to the face in the morning, either alone or as a makeup base. This moisturizing cream is non-greasy and provides a matte finish, which makes it perfect for a polished daytime look. It creates a smooth base for applying makeup so that it's easier to spread concealers or foundations. At the same time, the Dead Sea mineral complex maintains a natural moisture balance in the skin, making it look more radiant throughout the day. In my experience, this cream is very moisturizing and makes my skin look matte and non-shiny. I like wearing it under makeup because it makes everything look more smooth and even. The only thing I noticed is that when I've applied this in the morning and then sweat a lot - for example when I went to a baseball game in hot humid weather - I can feel the sweat bead up on my inner cheeks along the sides of my nose. I think it's just that the sweat kind of sticks to the moisturizer or something - It's not really visible but just feels different than usual. I just dab off the sweat and then it's good to go. 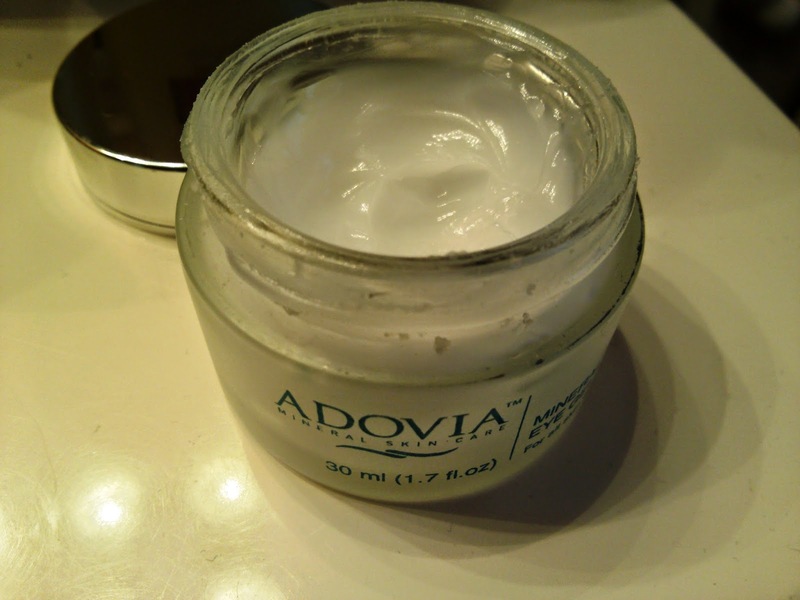 Adovia's moisturizing cream is gentle on my sensitive skin and provides hydration without any irritation. I believe the Dead Sea minerals also help to make my skin look healthier too. Update: This stuff is AMAZING in winter! My cheeks get really red and flaky from the harsh winter wind, but the Moisturizing Day Cream has really helped to heal my skin and prevent further irritation and redness. I wear it every morning now to protect and hydrate my skin during the day, and it's been a real blessing for me. I no longer have red patchy cheeks but normal, healthy-looking skin.